Fortilink®-L IBF System with TETRAfuse® 3D Technology - Products - RTI Surgical Holdings, Inc. 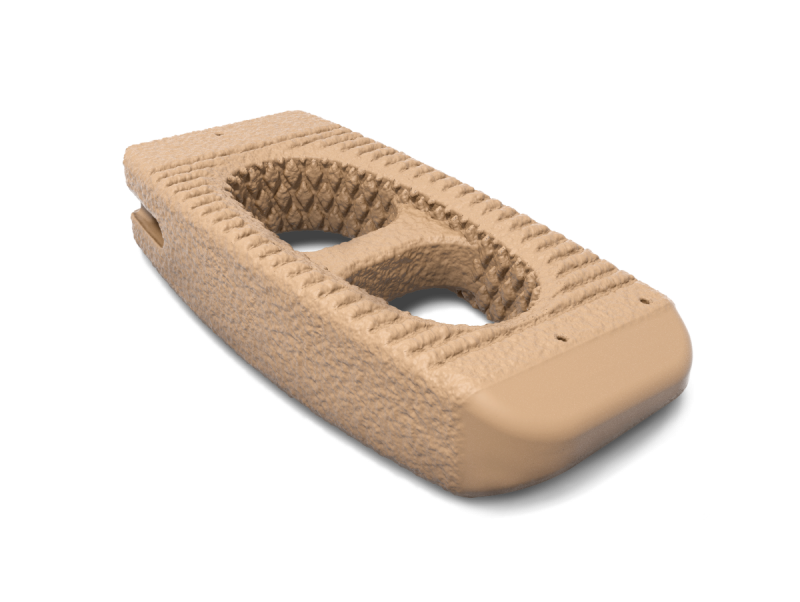 The latest addition to the new line of interbody fusion devices, Fortilink-L IBF System with TETRAfuse 3D Technology offers patients a device designed to participate in the fusion process1,† while maintaining bone-like mechanical properties.1,†† The unique features of the 3D printed nano-rough surface have been shown to allow bone cells to attach to the implant,1 increasing the potential for fusion in a posterior spine fusion surgery. When Fortilink‐L is used as lumbar interbody fusion (IBF) implants, these devices are indicated for intervertebral body fusion of the spine in skeletally mature patients with degenerative disc disease (DDD) and up to Grade 1 spondylolisthesis of the lumbar spine at one level or two contiguous levels. DDD is defined as back pain of discogenic origin with degeneration of the disc confirmed by history and radiographic studies. These IBF devices are used to facilitate interbody fusion in the lumbar spine from L1‐L2 to L5‐S1 using autogenous bone graft and/or allogenic bone graft comprised of cancellous and/or corticocancellous bone graft to facilitate fusion. The IBF devices are intended to be used with supplemental fixation cleared for the implanted level. Patients should have at least six (6) months of non‐operative treatment prior to treatment with an interbody fusion device.